SNES Bobby's World (USA) in 10:12.6 by Kyman. 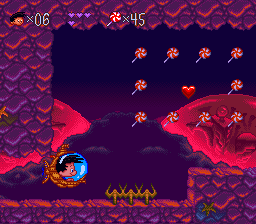 Bobby's World is a platformer for the SNES inspired by the TV show of the same name. The author exploits a throwing glitch, and manages to complete the game in just over 10 minutes.